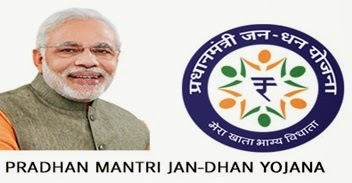 A Video Conference Meeting to review the progress made with regard to the Pradhan Mantri Jan-Dhan Yojana (PMJDY) was held here under the Chairmanship of the Mission Director, Shri Anurag Jain, Joint Secretary, Department of Financial Services, Ministry of Finance. The meeting was attended among others by Addl. Mission Director, Dr. Alok Pande; Executive Directors of Public and Private Sector Banks, representatives of IBA, NPCI and UIDAI. As per status presented in the meeting, banks have opened 8.76 Crore accounts under PMJDY and have issued 5.78 Crore RuPay Cards. All the banks have been advised to cover the gap including of their RRBs at the earliest. Banks were asked to open at least one account of adult member in every household. The household coverage as per the survey has increased to 89% and approximately 2.18 crore households are still uncovered. It was agreed that all Banks would take up the task in a planned sweep mode and cover all the households before the end of December. Thereafter public feedback route to ascertain and open accounts of any left over household would follow. Banks expressed confidence in meeting this dead line barring certain difficult areas like LWE districts, North East and areas affected by migration. As regard redressal of grievances in PMJDY, banks were asked to develop a system to redress the complaint in 3 days where no investigation is required and in 7 days where detailed investigation is required. · Survey quality of households in some of the states like MP for doing survey very meticulously. · PNB becoming the first bank to complete integration with "Jeevan Praman" a digital life certificate portal. Banks were asked to issue Pass Book and RuPay Debit Cards to customers at the earliest and to encourage and educate them for deposits and savings. Banks were also asked to arrange for sensitizing of their staff members and Training for Bank Mitras, so that customer complaints relating to non-opening of accounts can be eliminated. Dr. Y.V. Reddy, Chairman, 14th Finance Commission called on the Union Finance Minister Shri Arun Jaitley in his office yesterday. Earlier the Report of the 14th Finance Commission was presented to the office of the President of India. Shri S.K. Roy, Chairman, Life Insurance Corporation (LIC) of India presented a dividend cheque of rupees One Thousand Six Hundred Thirty Four Crore Eighty Nine Lakhs Fifty Seven Thousand and Six Hundred Two (Rs.1634, 89, 57, 602.00) to the Union Finance Minister Shri Arun Jaitley in his office yesterday. Shri Rajiv Mehrishi, Finance Secretary, Dr. Hasmukh Adhia, Secretary, Department of Financial Services, Ministry of Finance, Shri Manak, Shri V.K. Sharma and Ms. Usha Sangwan, all Managing Directors, LIC were also present on the occasion among others. Ministry of Food Processing Industries had implemented in 11th Plan a Scheme of Technology Upgradation/Establishment/Modernization of Food Processing Industries (TUS) for promotion of processing of agriculture produce including Millet Grains. However, during the 12th Plan, the said scheme has been subsumed in a Centrally Sponsored Scheme - National Mission on Food Processing (NMFP) w.e.f. 1.4.2012 and the same is being implemented through State/UT Governments. Under the above scheme, financial assistance in the form of grant-in- aid is provided to the interested and eligible entrepreneurs @ 25% of the cost of Plant & Machinery and Technical Civil Works subject to a maximum of Rs. 50 lakhs in general areas and @ 33.33% subject to a maximum of Rs. 75 lakhs in difficult areas and @50% subject to a maximum of Rs.100 lakh for N.E States, for setting up of new food processing units as well as Technological Upgradation and Expansion of their existing units for facilitating processing of agricultural produce including Millet Grains. In order to promote value addition in various agricultural produce including preparation of food products with millet grains, the Ministry of Food Processing Industries is also implementing another Scheme titled “Quality Assurance, Codex Standards, Research and Development and Promotional Activities”. Under this scheme, one of the components is Research and Development, with an objective to enable development of new food products including the products prepared with Millet grains and also use of cost effective technologies for making such products. The scheme provides financial assistance (grant) to Universities, Indian Institute of Technologies, Central/State Government Institutions, Public and Private Funded Organizations and CSIR recognized R&D units in private sector for facilitating Research and Development for value addition in food products including the products prepared with Millet grains. For Government Organizations, the quantum of grant is up to 100% of equipment cost plus cost of consumables and expenditure related to JRF/SRF/RA. In case of Private Organizations, the same is to the tune of 50% in general areas and 70% in the difficult areas. For the R&D projects sponsored by the Ministry, the grant is up to 100%. 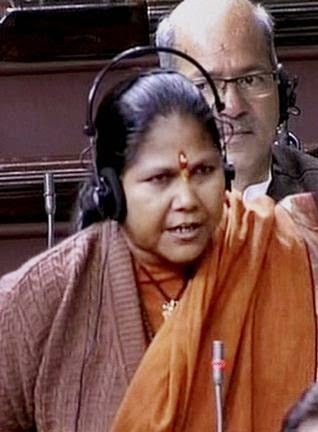 This information was given by the Minister of State for Food Processing Industries Sadhvi Niranjan Jyoti in a written reply in the Lok Sabha today. The Food Safety and Standards (Licensing and Registration of Food Businesses) Regulations, 2011 prescribes the sanitary and hygienic practices to be followed by food processing industries under Schedule – IV thereof. Ministry of Food Processing Industries, under the Scheme for Quality Assurance, Codex Standards and Research & Development and Other Promotional Activities provides financial assistance in the form of reimbursement of expenditure for implementation of Hazard Analysis Critical Control Points (HACCP)/ International Organisation for Standards (ISO) 22000 / ISO 9000 / Good Manufacturing Practices (GMP)/ Good Hygiene Practices (GMP) for food processing industries which helps in improving quality and safety of processed food. FSSAI is in the process of harmonising the existing Indian standards with international Codex standards. There are 152 Food Testing Laboratories authorised by FSSAI for testing food products as per standards prescribed under the Food Safety and Standards Act, 2006 and Rules / Regulations, 2011. The implementation of FSS Act / Rules/ Regulations largely rests with the State Governments/ Union Territories. Accordingly, samples are drawn regularly by States/ UT Governments and action is taken against the offenders in cases where samples are found to be non-conforming. A complaint may be lodged in the office of the Food Safety Commissioner of concerned State/UT.The name and address of States/UT-wise Food Safety Commissioners are available on FSSAI website i.e. www.fssai.gov.in (http://fssai.gov.in/Food_Commissioners.aspx). A consumer can also complain to the Food Safety Officer against any unsafe food product. In addition, there is a provision to lodge complaints online through Centralized Public Grievances Redress and Monitoring System (CPGRAMS) i.e. http://pgportal.gov.in/-.